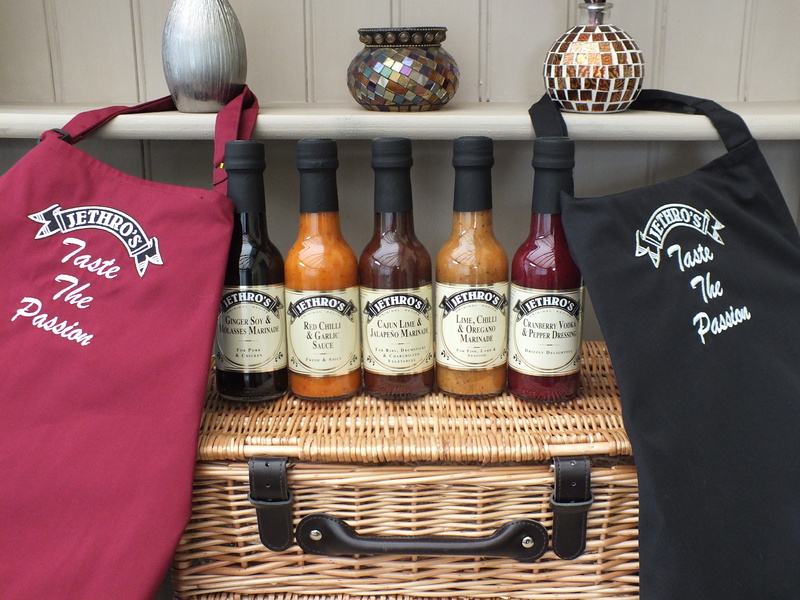 A lovely gift consisting of a luxury hamper with straw bedding, 5 bottles of Jethro’s marinades, sauces or dressings and a beautifully embroidered “taste the passion” apron. Pick any 5 of our award winning hand-made bottles of marinades, sauces or dressings. All of our products are made with the finest of ingredients for the freshest of tastes. Get creative with the endless possibilities provided by our range of award winning sauces, marinades and dressings. Our range of delicious marinades are also great used in casseroles, stews, stir fries or just drizzled onto salad and are perfect for roasting vegetable and potatoes.